Hello & a warm welcome to you! 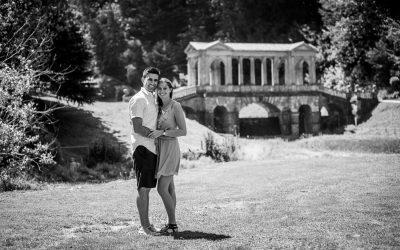 I’m Betty and am a Bath based wedding photographer who loves to photograph people getting hitched – this includes engagement sessions (sometimes by surprise! ), creative wedding portraits and full day documentary reportages. I cover Bath, Bristol, Somerset, Wiltshire and Gloucestershire. I am a German who has lived in the UK for more than a decade and a half, I was a qualified architect first before becoming a full time wedding and portrait photographer and have done photography for 23 years now. I photograph engagements, surprise engagements, weddings, bumps, babies, kids & families (the full circle). And I also take portraits of people for commercial purposes, to commemorate special events or simply because they are plain interesting. All my work is about people, characters, relationships and life’s special moments – which makes me so proud of my work! Wow! Wow! Wow! Thank you very much for the beautiful photographs of baby James! They have captured another very precious moment in our lives and will be forever treasured. Thank you so much for taking these and giving all the digital prints, it’s so kind of you. We’ll look forward to you photographing us some more in the future. We had two recurring comments from all our guests: the food was delicious and our photographer was fantastic! We so appreciated how swiftly we got through the group shots and how discreet you were when taking the more natural photographs. I also particularly appreciated your calm and reassuring manner at the start of the day! We thoroughly enjoyed working with you and know that your work has provided the perfect record of what was our perfect day. Hi Betty, We were just looking through the photos again and can’t remember if we’ve told you how much we love them! They are brilliant and just what we wanted – thank you so much! Wow! Thank you so much Betty! We absolutely love them. I have looked at them so many times. We are just working out which ones to order. Can’t thank you enough for these. Hi Betty, Thank you for the pictures, we have had a quick look online last night and they are absolutely beautiful, we are both incredibly impressed. This is a sentiment echoed by others who have seen them. I also wanted to say thank you for the day. We both felt you made us feel completely at ease throughout the morning, and all of our friends and family commented on your professional and personable style.